LinkedIn has become a vital tool in getting your face out there for employers to see. Additionally, the site serves as a way for you to seek out job opportunities and connect with employers after an interview or career fair. The first step to making your LinkedIn account worthwhile is understanding how to set up your profile. While there are many things you can do over time to embellish your profile, let’s start with some basics. You want to grab the viewers attention by using a short statement as your headline outlining who you are and what you’re looking for. For example, say your major (i.e. Business major) followed by what kind of job you’re looking for (i.e. seeking a position in public relations). You also want to make sure you’re well-represented in your photo. This photo should either be a professional head shot or resemble one. You want to be well-dressed and have a background that isn’t distracting. When you edit the summary section of your profile, utilize this space to quickly showcase your goals and career aspirations. The paragraph should be concise, give some information about your studies, and also showcase your unique self. Think of this as the start of your best cover letter. Take some time to fill out your profile. Put in all of your education experience as well as extracurricular activities. Possibly most important is that you add in your work experience and volunteer work as well. The descriptions of your work should be similar to the bullet points of your résumé, but you want to make them more personable and put those skills and experience in paragraph form. Treat this like your professional social media. This means you should interact with posts, share blogs you’ve written or articles you’ve read, and update people on new positions and professional moves. Engaging on LinkedIn gets your name surfacing more and allows employers to see your interests. This is also a great way to let people see the projects you’ve done that you’re passionate about and have spent time working hard on. Finally, it goes without saying, but it’s important to showcase who you are on your profile. You still want to keep things professional, but share things that you’re genuinely interested in and not just what will “make you look good.” Make your abilities and skills as well as your personality evident to employers. If you ever have questions about your LinkedIn profile, you are always welcome to stop in at the Boerigter Center to ask questions or get feedback. Drop-in hours run from 3:00-4:30 PM every weekday. 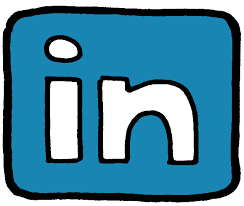 Stay tuned for a post about how to use LinkedIn to network and job search coming soon! Previous Previous post: Why Consider the Insurance Industry?